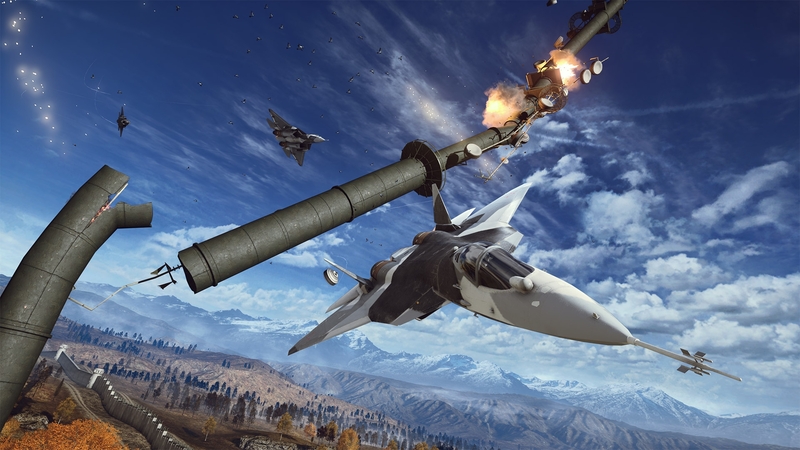 Battlefield 4 has been plagued with issues ever since it’s launch this past October. There have been stability issues, server drops, one shot kill bugs, delayed patches, and even issues with the brand new DLC. EA has announced today that all of DICE’s future projects and DLC have been put on hold until Battlefield 4’s problems are solved. DICE has encouraged players to look at their Control Room page to get updates on the games issues. This reporter’s opinion: This is a great move for DICE as this game has been plagued with immense issues ever since it’s release. Heck, nearly every Battlefield game doesn’t work at launch, and it’s quickly just becoming a bad joke. This move is needed for both PR and actually getting the game working again. I don’t have any server drops on PS4 anymore, but I do get immense graphical issues. It’s silly that they released a game of this magnitude with such immense issues. To be honest though, I’m guessing that not all work has been stopped on Mirror’s Edge or Battlefront. There is a lot of work people like artists and writers can do that would in no way help the BF4 issues. This entry was posted in Gaming and tagged Battlefield, Battlefield 4, BF4, DICE, Downloadable content, Electronic Arts, Games, Mirror's Edge, Star Wars Battlefront on December 4, 2013 by leagueofmediocregamers. We have never been treated to an open world Star Wars game before, at least not one that has ever released. It loks like that may be changing if a new rumor/report from Kotaku is correct. A recent job posting from EA Canada says the team is working on a Star Wars title. Adding more fuel to this fire was a tweet from an EA job recruiter in September for a yet unnamed project back in September read “Best job title EVER! Lead Combat Designer for Star Wars @EA!” and linked to this job listing. It would seem this game has a multi-site development, as Visceral Studios and EA Canada have near identical job listings for Executive Producer positions for Star Wars titles. EA has already confirmed that Visceral is one of three currently known studios to be working on Star Wars games, alongside Bioware (The Old Republic) and DICE (Star Wars Battlefront). EA Canada is best known for developing games like Fight Night, but it is likely being used as a secondary studio, with Visceral taking the lead. Back in early May, EA acquired the rights to make Star Wars games for consoles and PC. As of now, we only know about Battlefront, but it would be silly to think that would be EA’s only Star Wars game. I’m sure we’ll learn more about the game as 2014 goes on though. This reporter’s opinion: I’m salivating at the thought of an open world Star Wars game. Visceral has a great pedigree behind it, and additional people working on a game is not a bad idea. I’m sure EA wants this thing to hit the market as soon as it can as well. This entry was posted in Gaming and tagged Battlefront, Bioware, EA, EA Canada, Electronic Arts, Open world, Rumor, Star Wars, Star Wars Battlefront, Star Wars The Old Republic on November 28, 2013 by leagueofmediocregamers.